The Damn Truth is my latest obsession. A rock n’ roll band from Montreal, they infused elements of blues and classic rock to bang out their latest album Dear In The Headlights. Imagine mixing together The Black Keys with a dash of The White Stripes. They tackle the “throwback to the ’70’s sound” without taking it too literal like The Sheepdogs. And the vocals! 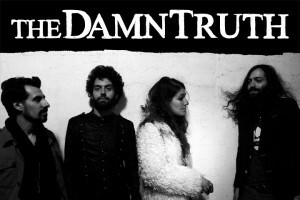 The Damn Truth’s Lee-La sounds an awful lot like The Balconies’ Jacquie Neville, and that’s probably the biggest compliment I could ever give.